Asking athletes and coaches to stand up on their campus to be a voice against bullying. Lets play defense against bullying. "Be a friend, not a bully"
Hello my name is Jeff Harper Harris. I have coached basketball for 22 years, Professionally (Mexico), High School, AAU, BCI, PAL, and National Travel Club. I started the San Diego "Cougars" Basketball Club in 1993 after the death of my two brothers due to gang violence. My older brother was shot 5 times in 1992 and a year later my 16 year old brother was shot and killed. as possible. Our organization grew to where we had kids from throughout San Diego County playing for the Cougars. The organization Is about helping to teach the game of basketball fundamentals while handling life’s lessons and promoting education. As an organization we have helped many young men and women get into college and become positive people within the community inside and outside of San Diego, CA. I have observed many young people killed in my community and/or seeing them still going to prison. Thus the growing violence and bullying is obviously a major concern to all. Many of these young people were student athletes and had bright futures ahead of them. What really affected me was that they were a parent’s son or daughter. Students who are bullied in schools and in the community are cheated out of getting an education. Our goal for Athletes and Coaches Against Bullying, which is a program of Athletic Initiative, is to have the athletes and coaches on all middle school and high school campuses to take a stand against bullying. We want the athletes to be the voice and make a stand on their campus. Many other students look up to athletes because they are the “cool kids” on campus. 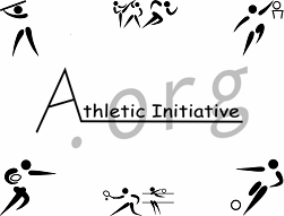 Athletic Initiative and Athletes and Coaches Against Bullying will be involved in events and pushing the pledge. We will have other organizations come in to talk about the type of bullying and how words hurt.